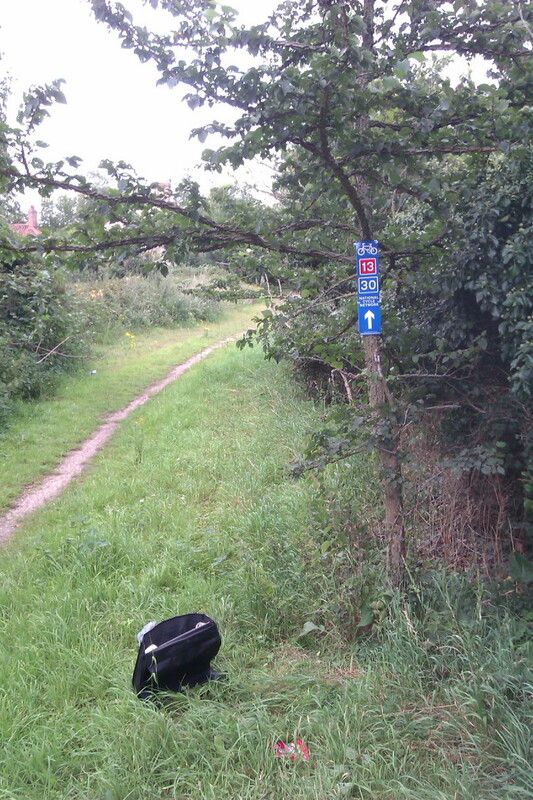 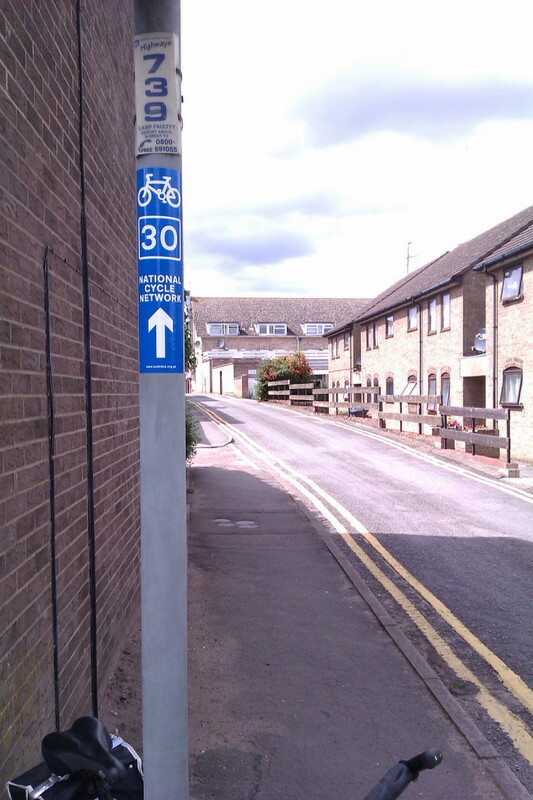 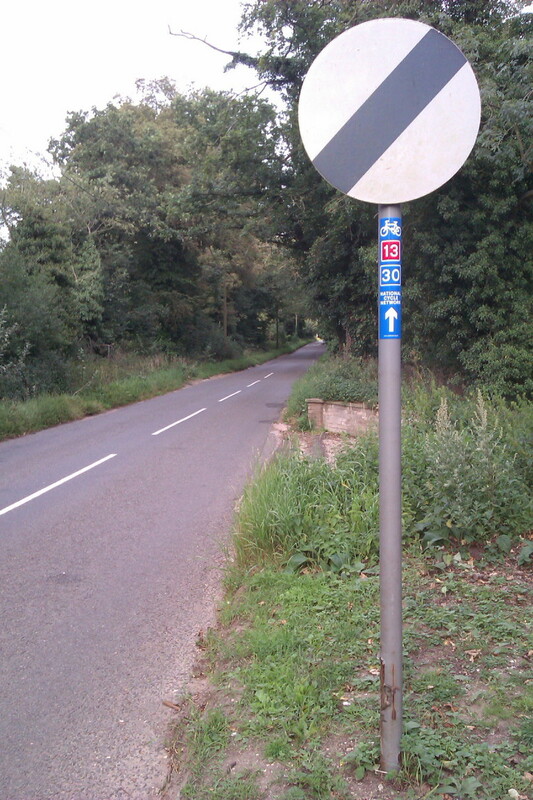 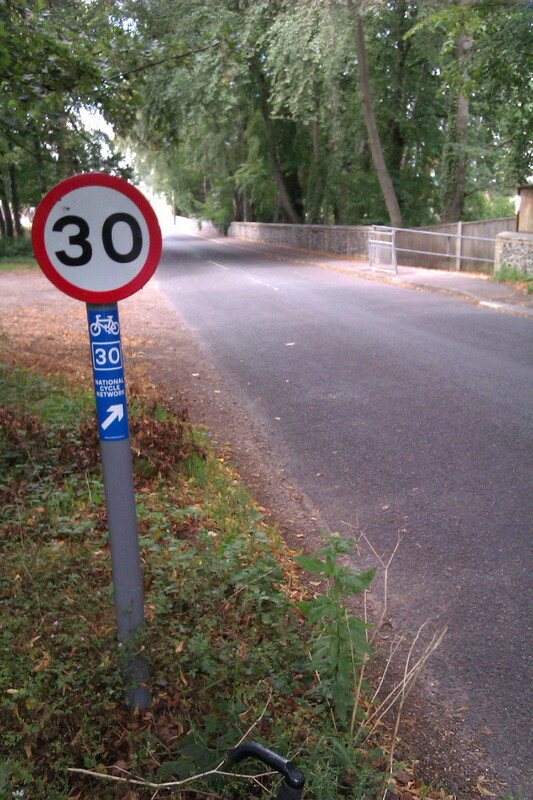 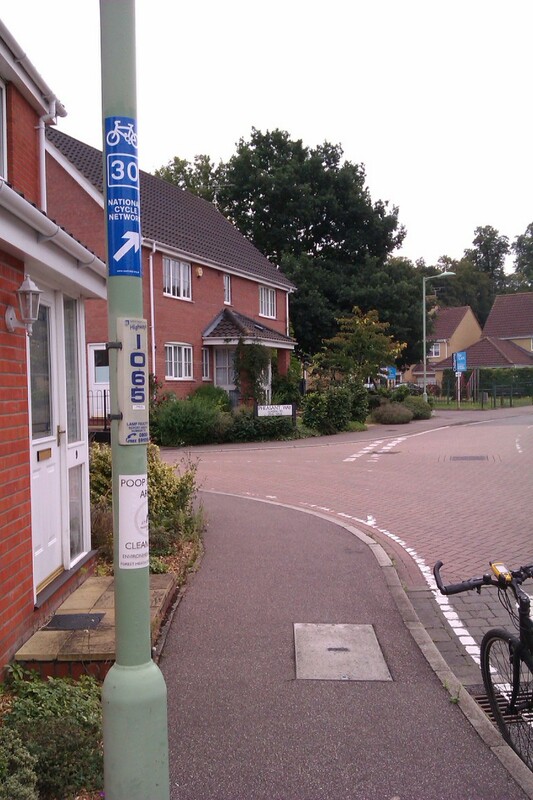 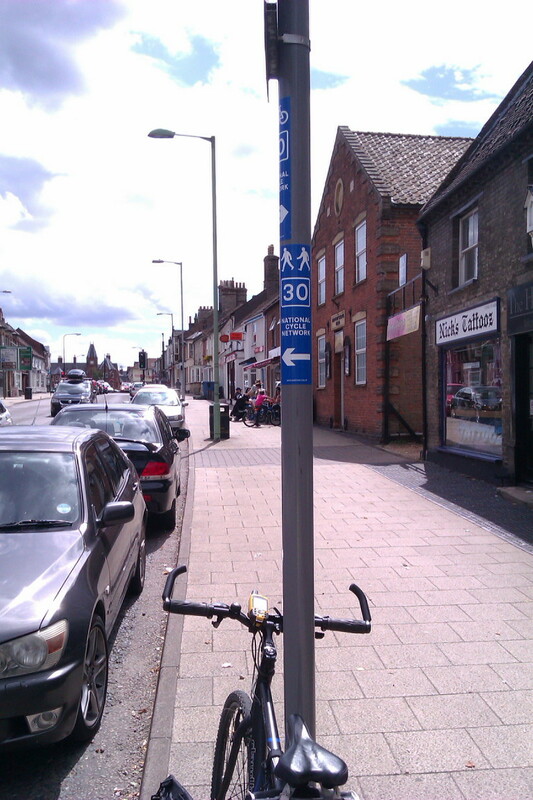 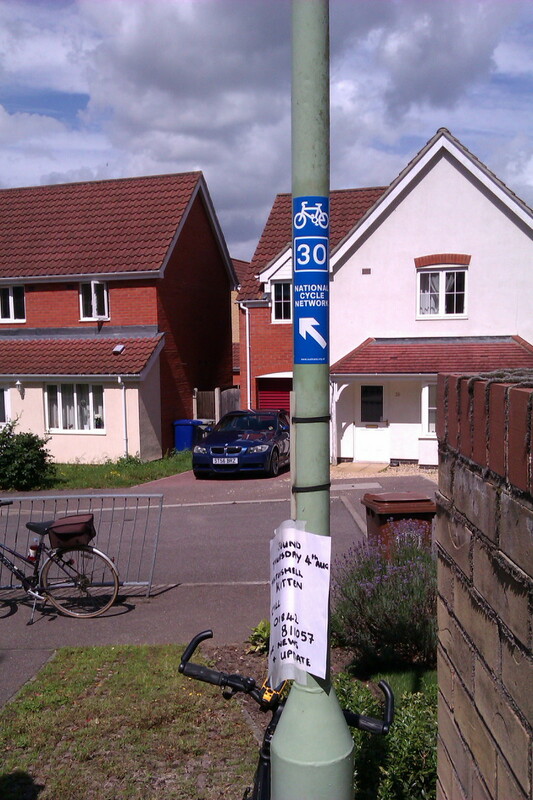 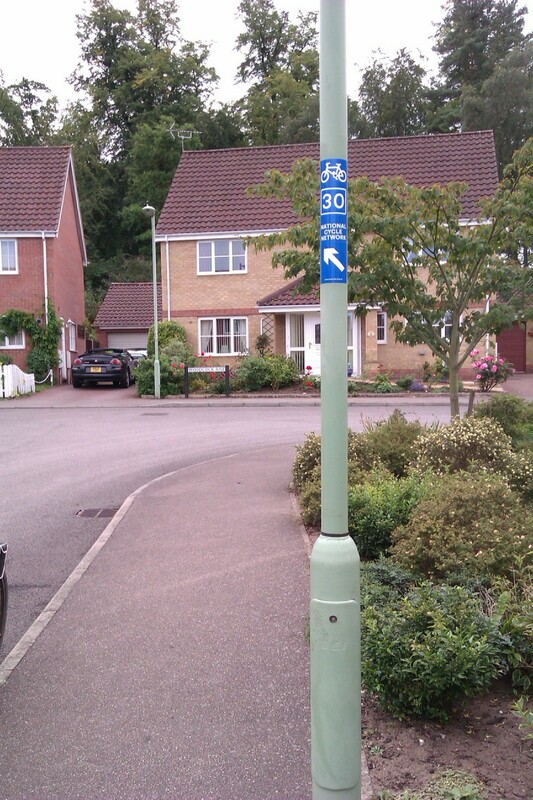 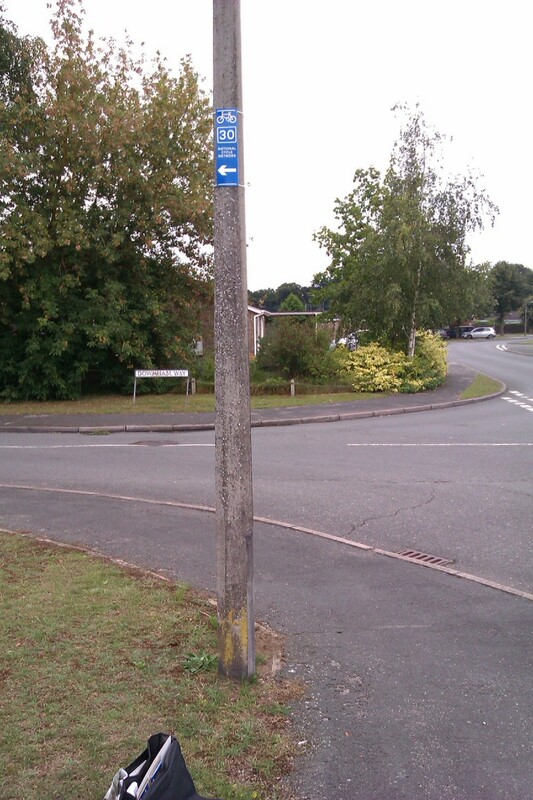 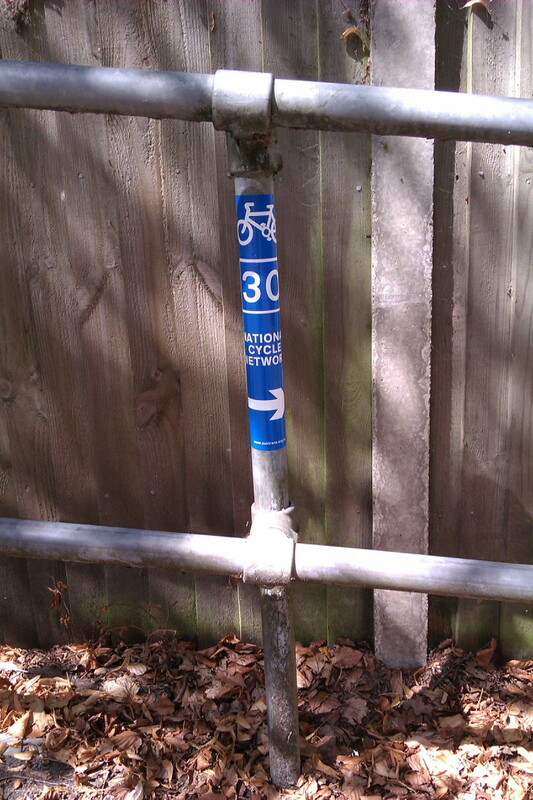 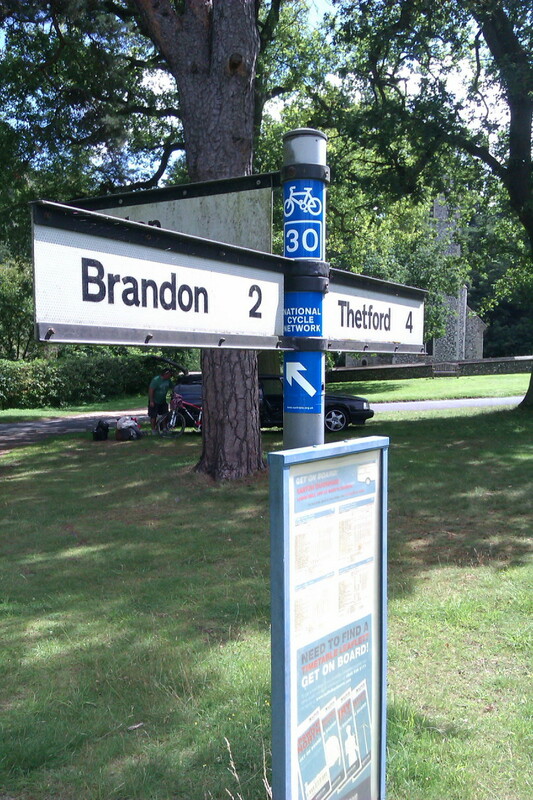 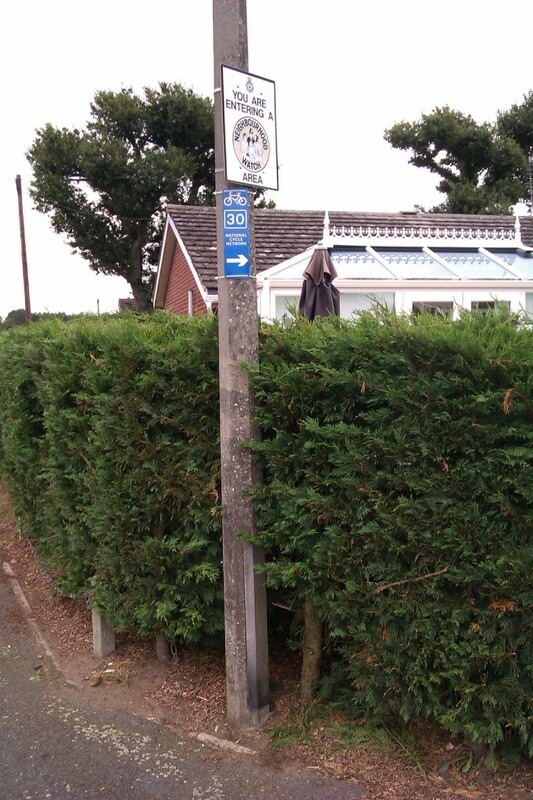 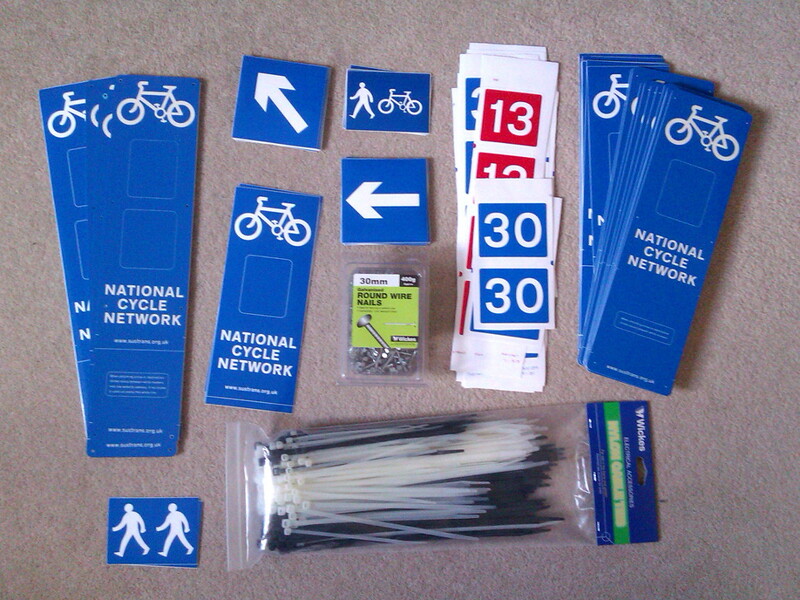 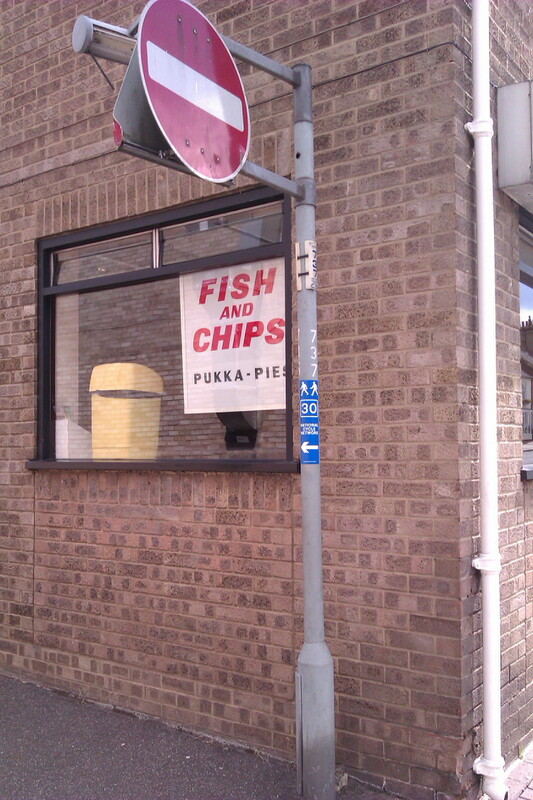 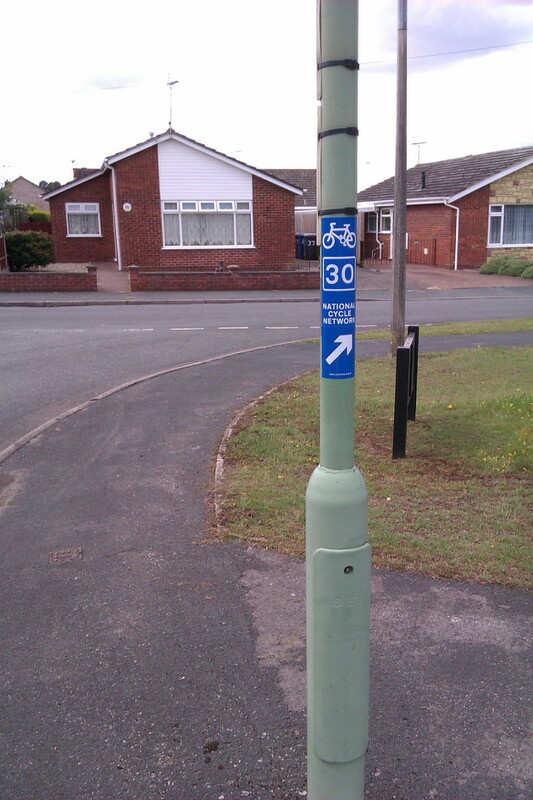 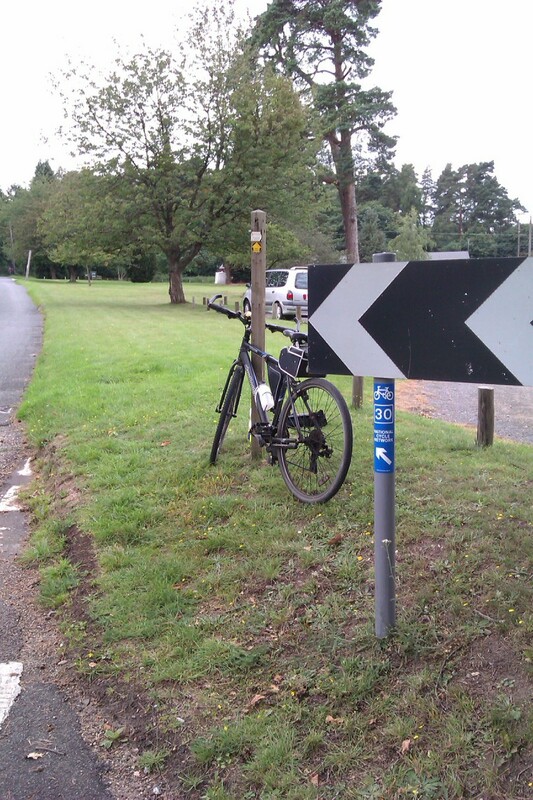 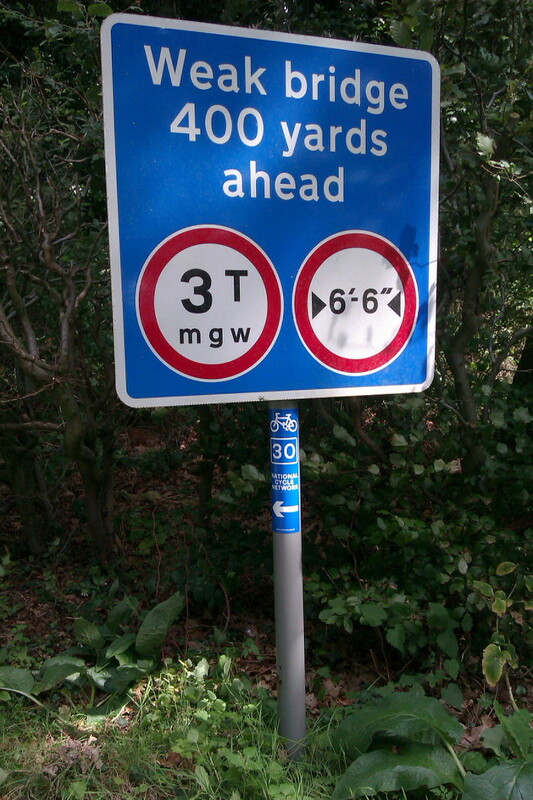 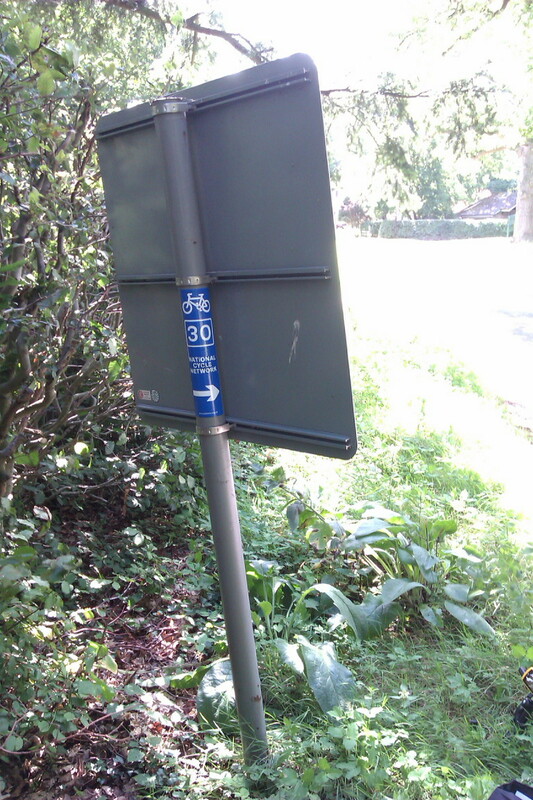 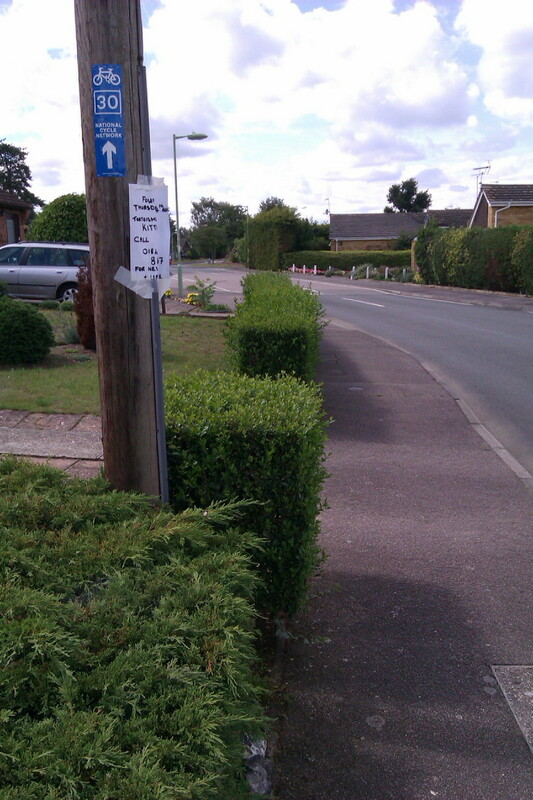 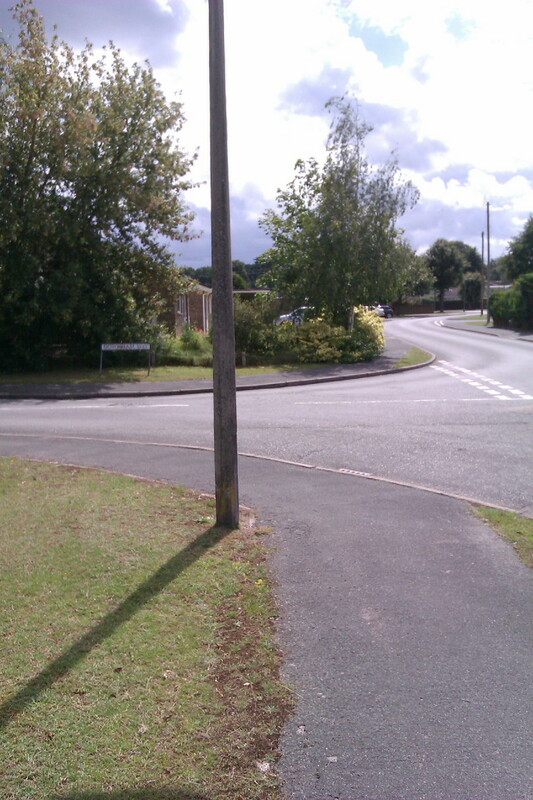 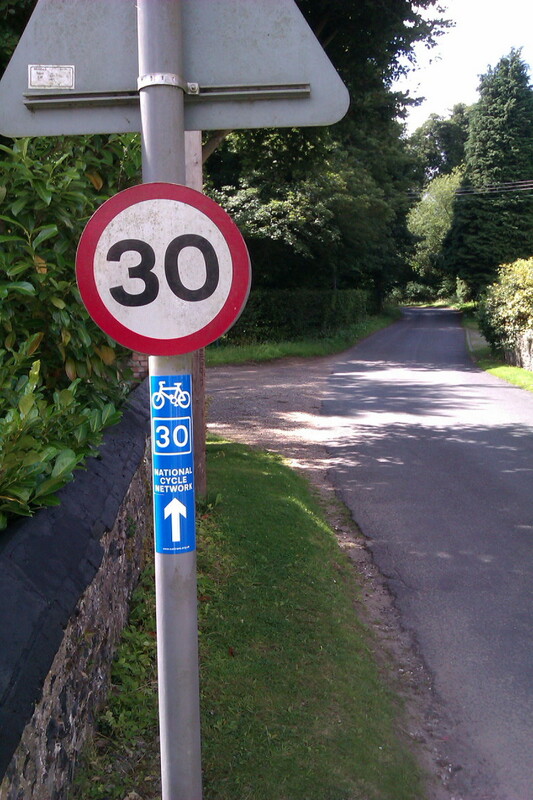 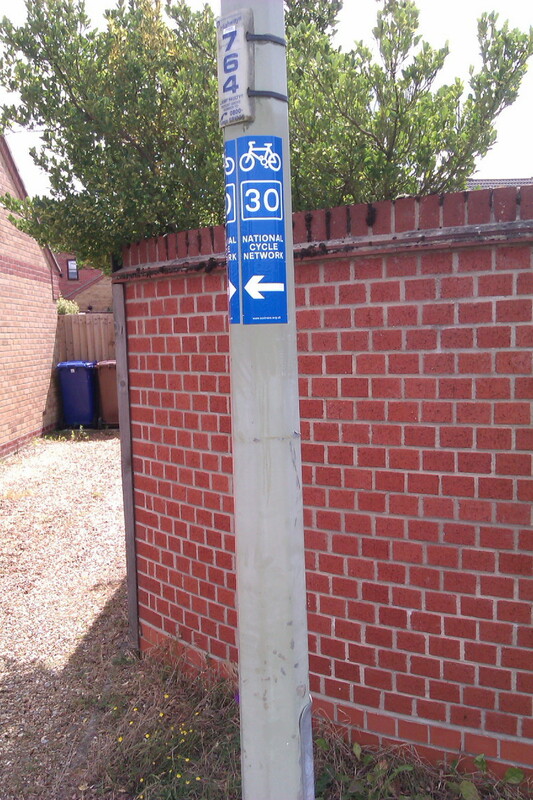 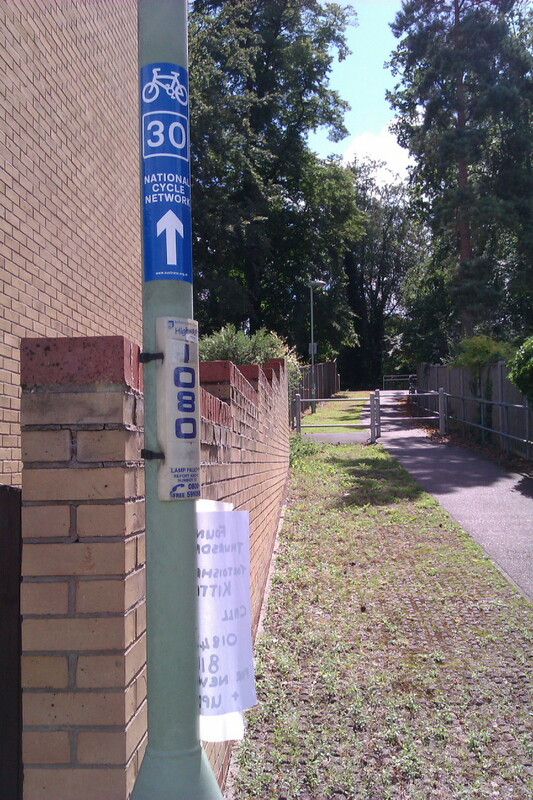 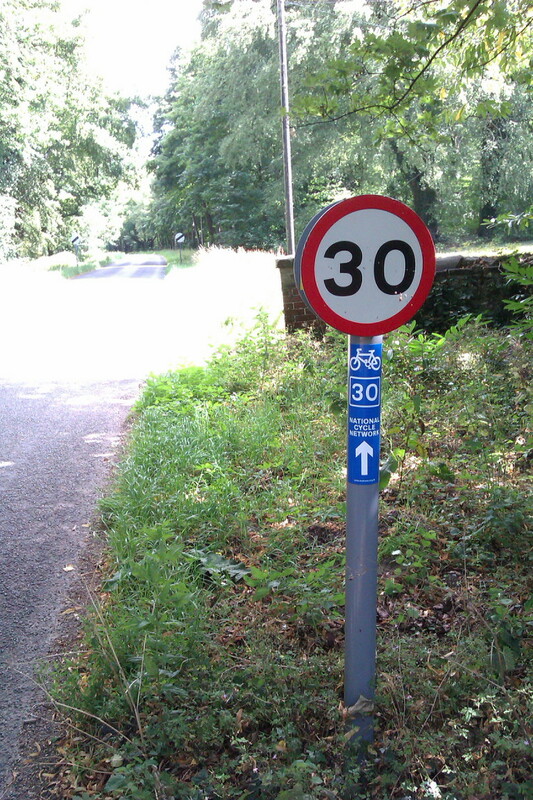 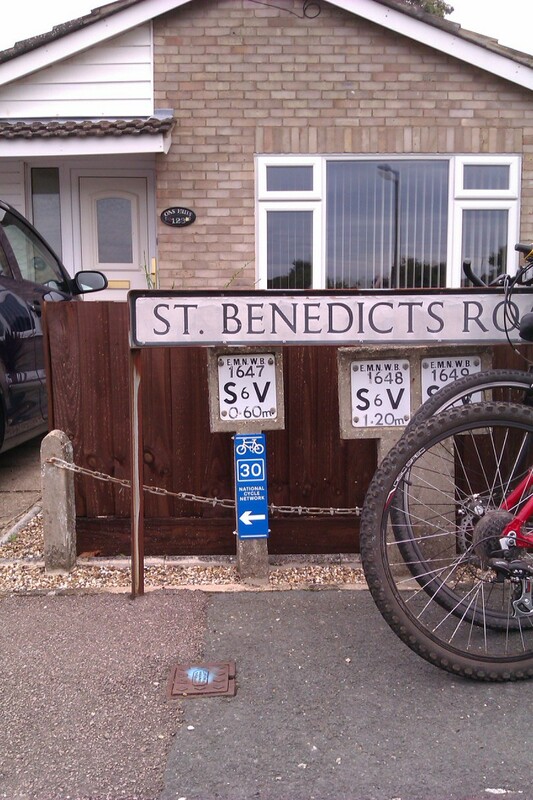 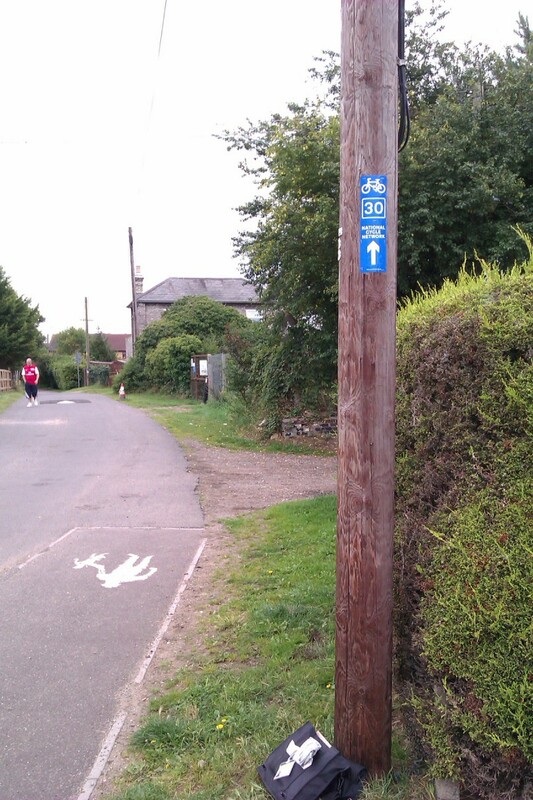 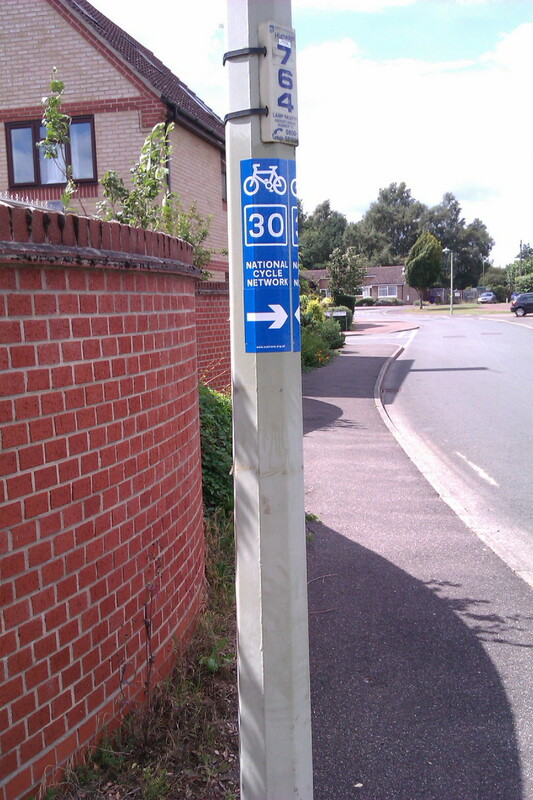 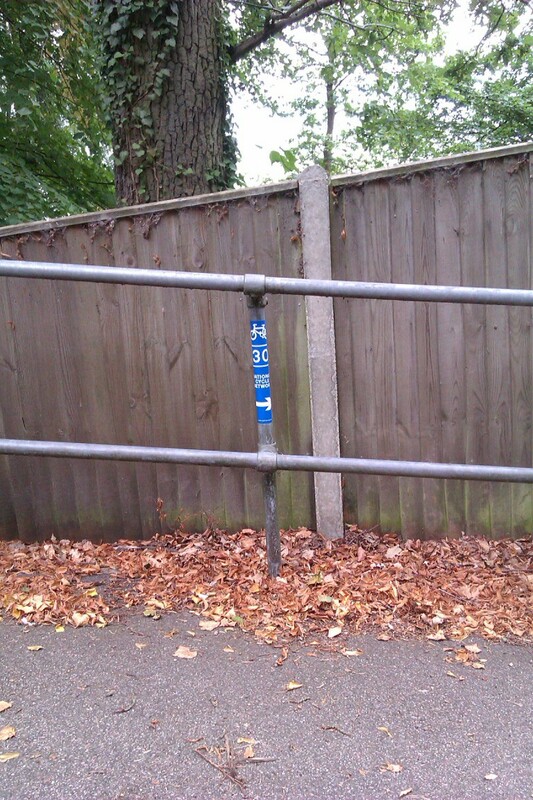 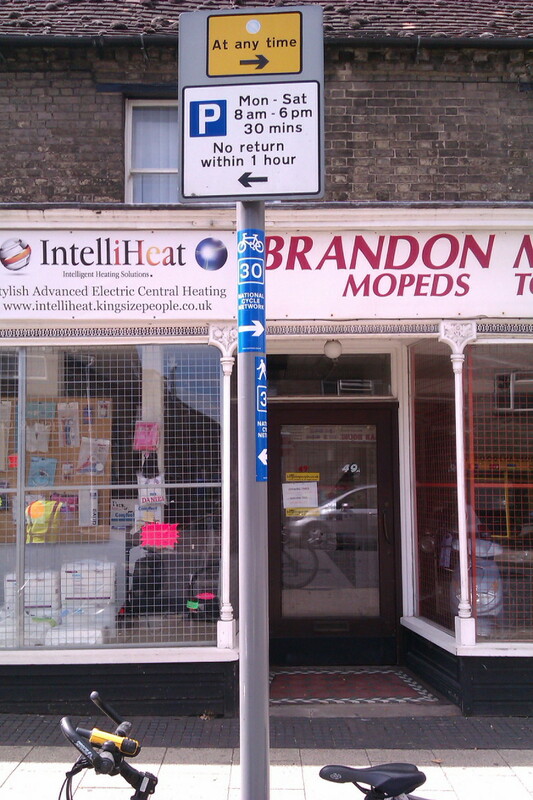 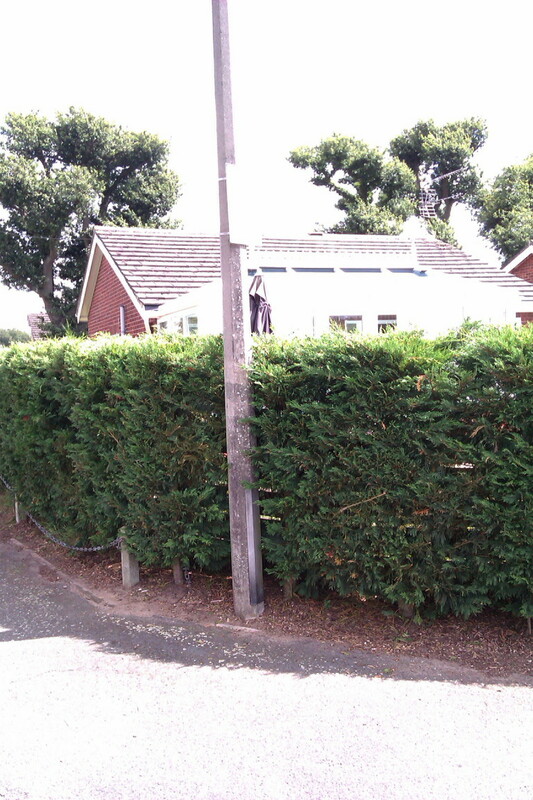 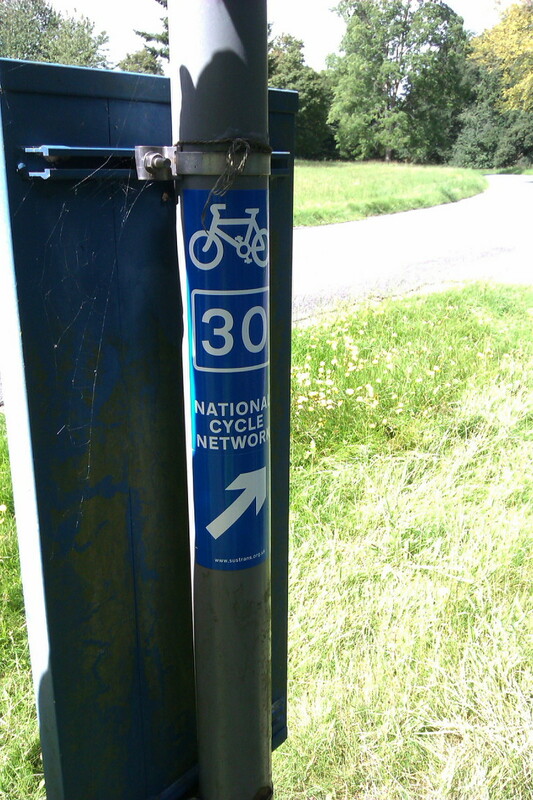 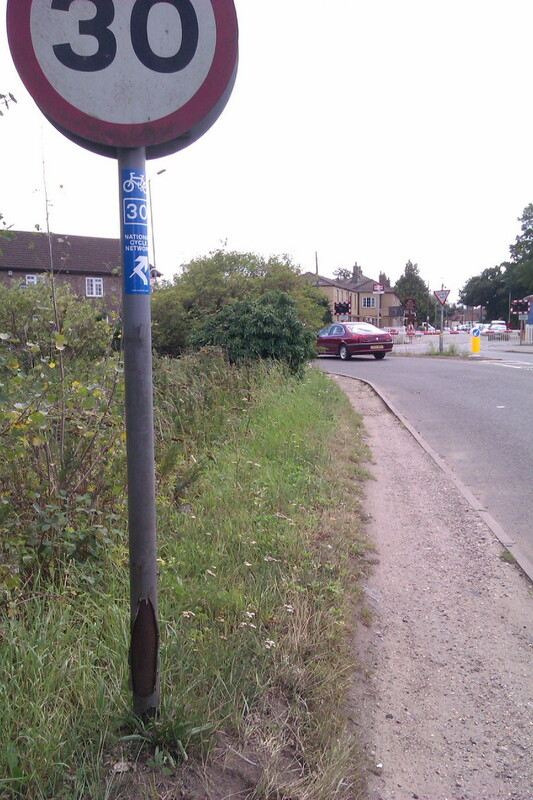 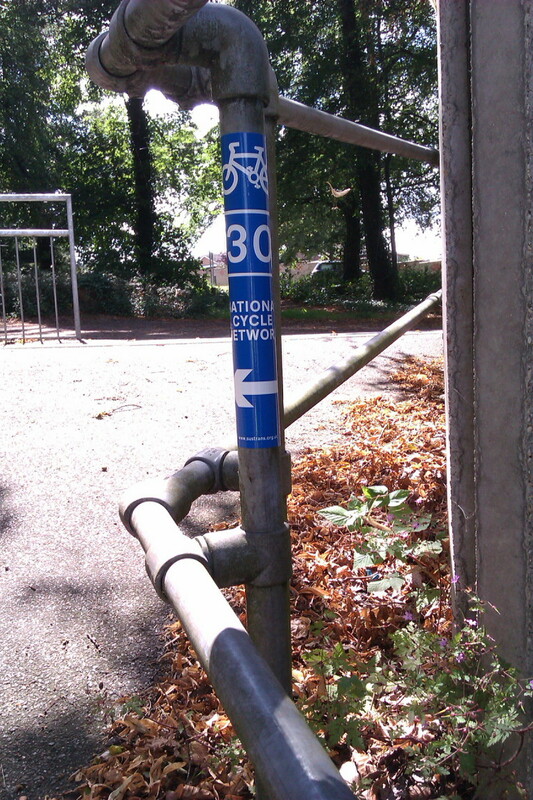 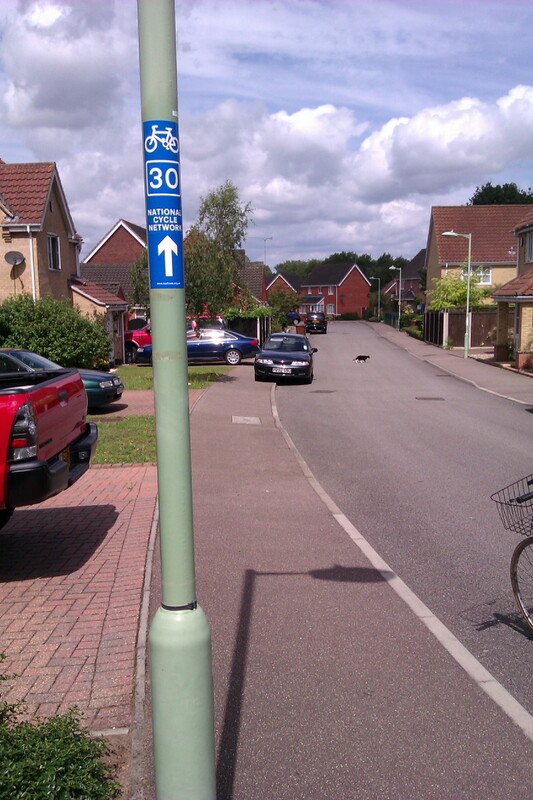 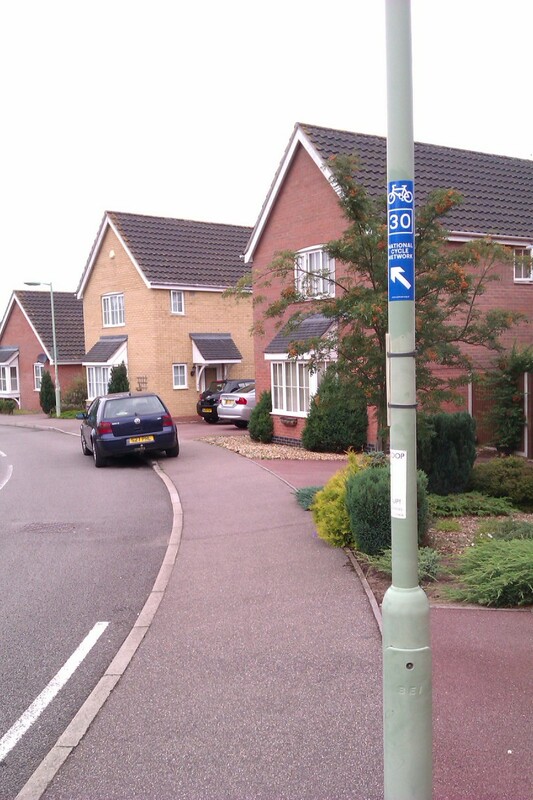 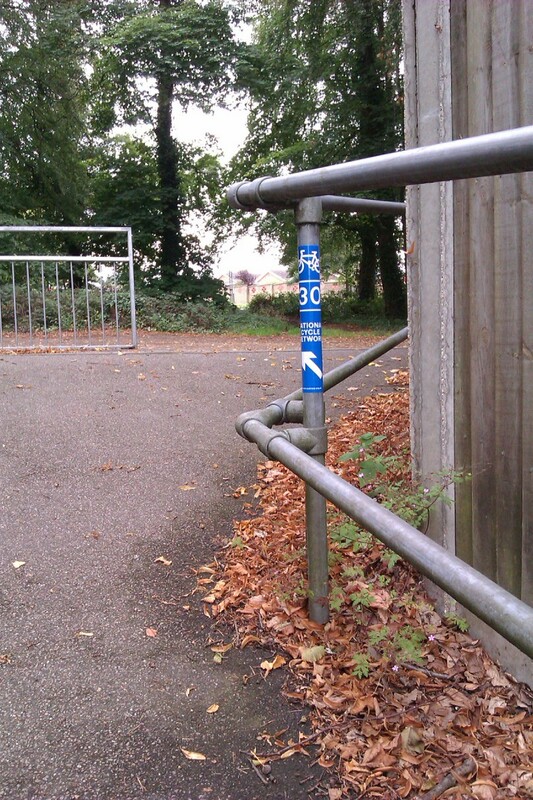 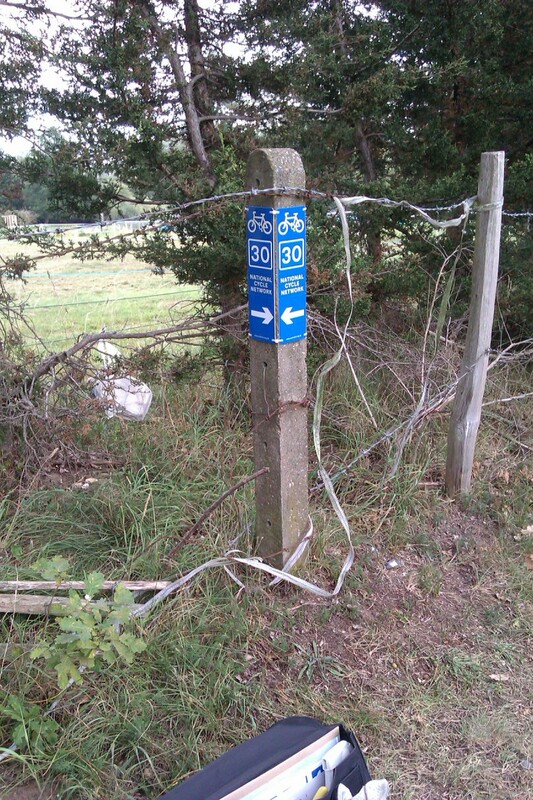 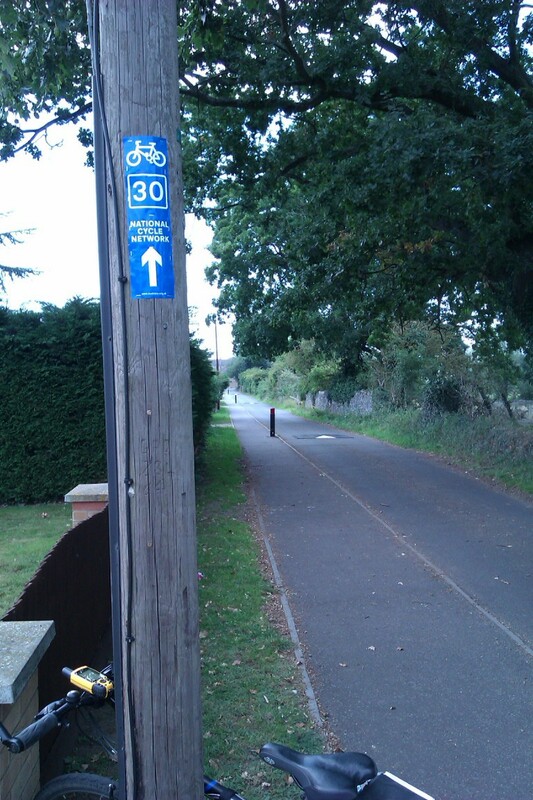 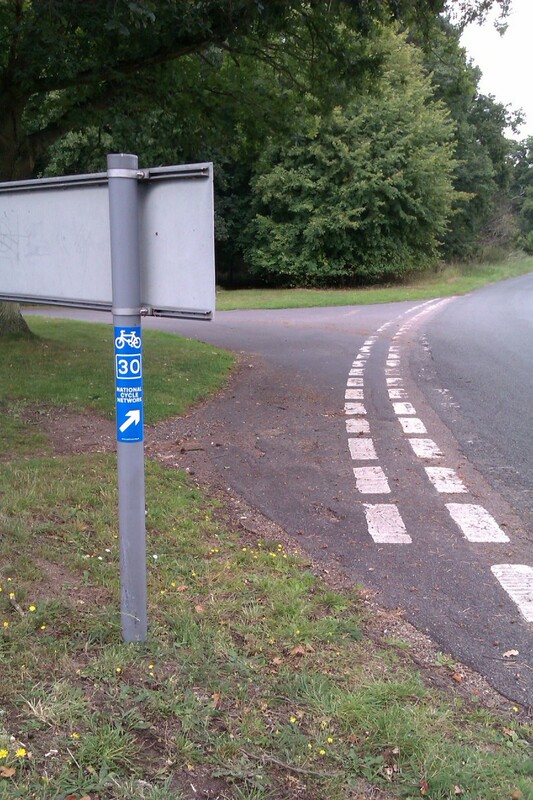 I went out today to put up the final few signs on my section of Route 30 between Thetford and Weeting. 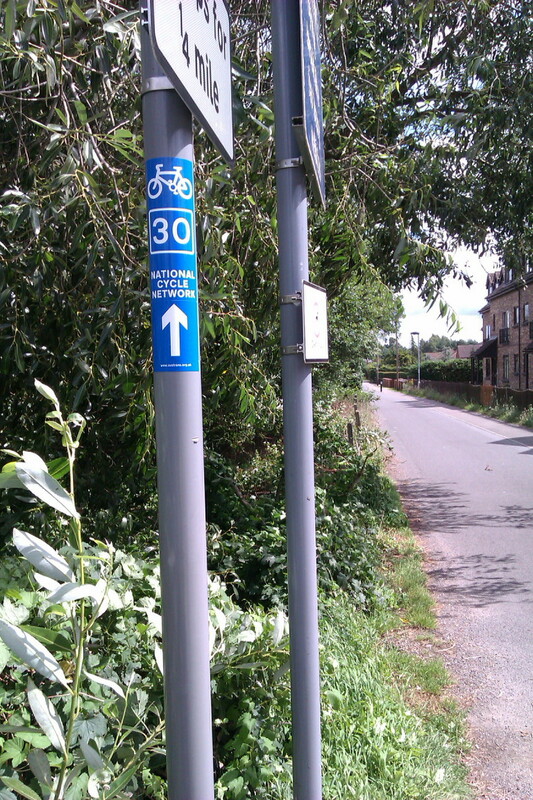 With the exception of a few places where an additional confirmation sign may be useful, my section of Route 30 should now be fully signed. 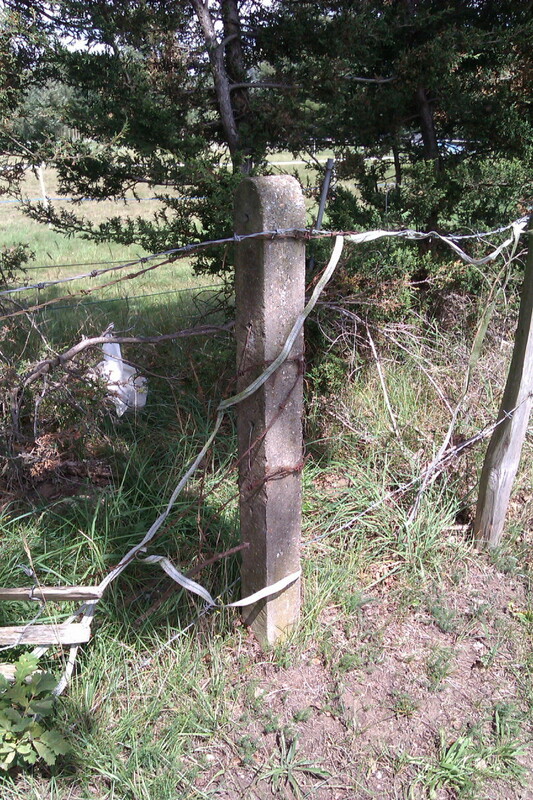 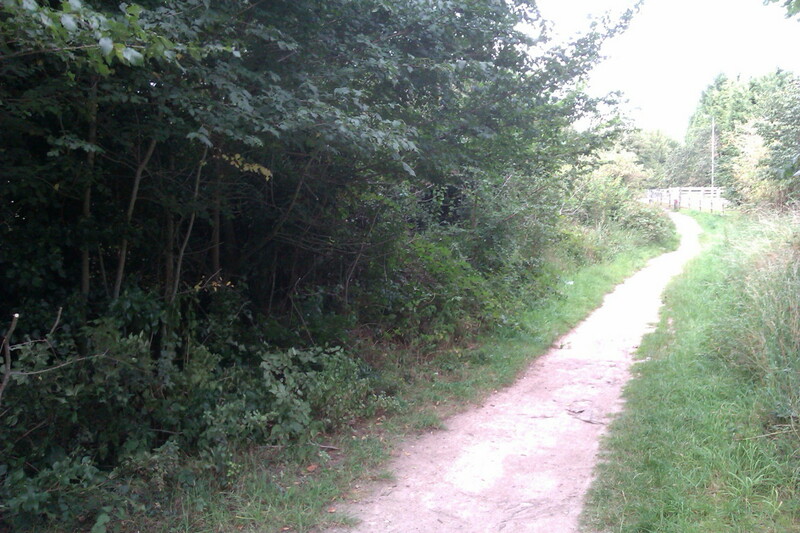 I went out put up a couple missing signs this evening and also took the opportunity to cut back some branches and brambles that were encroaching on the path.